President Trump: If the press were not fake and if it was honest the press would have said what I said was very nice. But unlike you and unlike the media before I make a statement I like to know the facts. 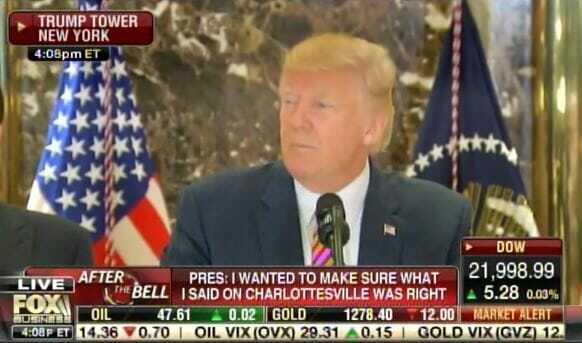 The president went on to condemn the alt-Right and alt-left thugs! The liberal media HATED IT! They hate when he speaks truth to their lies. Trump brought his A-game and shamed the media for their false reporting on the Charlottesville riots.